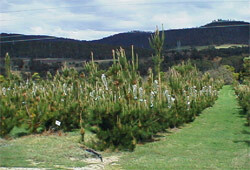 Tree improvement for Pinus radiata has occurred in Australia for over 50 years. In the mid 1980's, pine germplasm and performance data from around Australia were amalgamated into the Southern Tree Breeding Association (STBA) breeding program. Today, the STBA has over 300,000 genotypes with full breeding values and 3rd generation selections available for deployment into seed orchards. seedEnergy is licensed by the STBA to access this genetic material for production of genetically superior seed. seedEnergy manages 15 orchards with a total area of around 104 ha. Orchards are grown on a 15 year rotation. Each year, the oldest orchard is clear felled and replanted with the best germplasm available. In this way, seedEnergy has a "rolling front" approach to providing the very best open pollinated seed orchard seed to the market as early as possible. seedEnergy manages 4 dedicated Control Pollinated seed orchards. Emerging cone flowers are fully isolated from wild pollen until reproductive receptivity has passed. During receptivity, the cone flowers are pollinated with a pollen of high genetic quality specifically matched to the female parent to produce family seedlots of superior pedigree. STBA TREEPLAN® breeding values are used to select the best candidates to deploy into seedEnergy's orchards. Seedlots from both open pollinated and control pollinated orchards are certified using STBA TREEPLAN® breeding values. 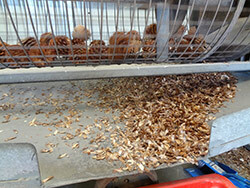 seedEnergy produces both Open Pollinated and Control Pollinated seeds annually.